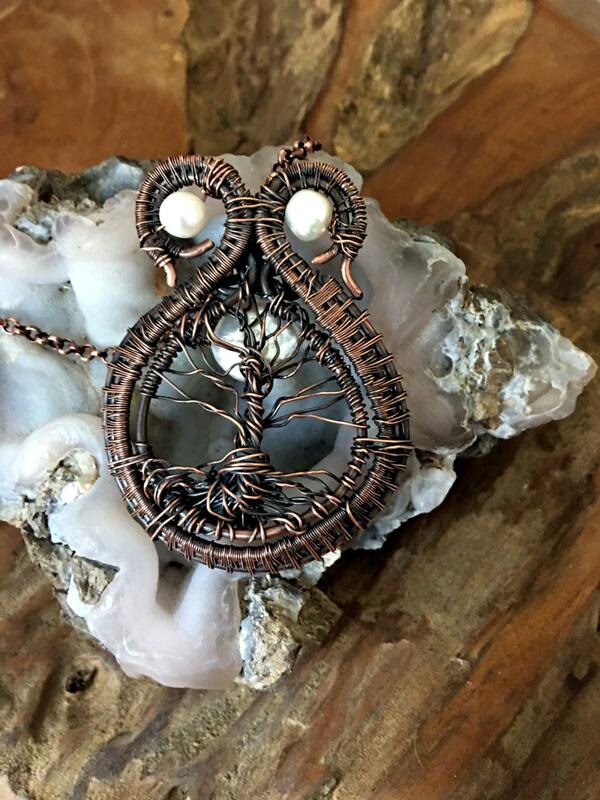 This is a gorgeous tree of life with freshwater pearls for trim. 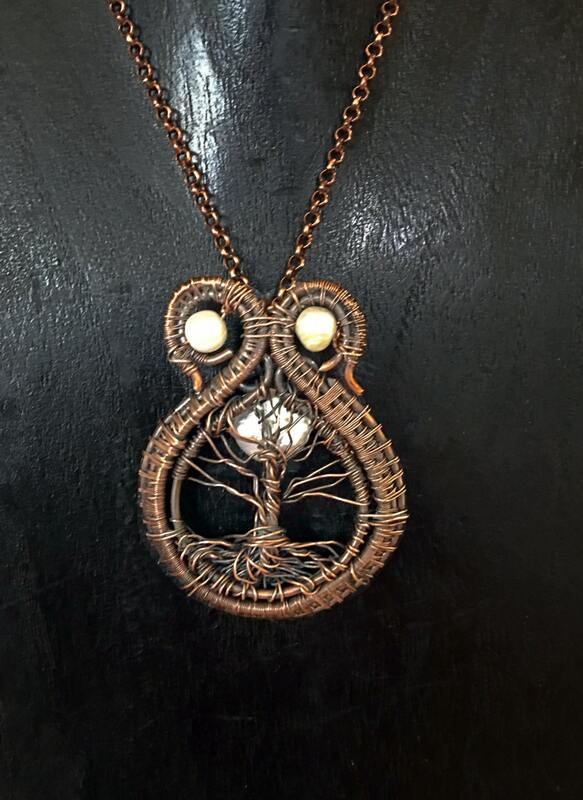 The flat round pearl beneath the pendant represents the moon behind the tree. This is a beautiful piece that has intrique and intricate weaving. It is indeed very unusual and a conversation piece. 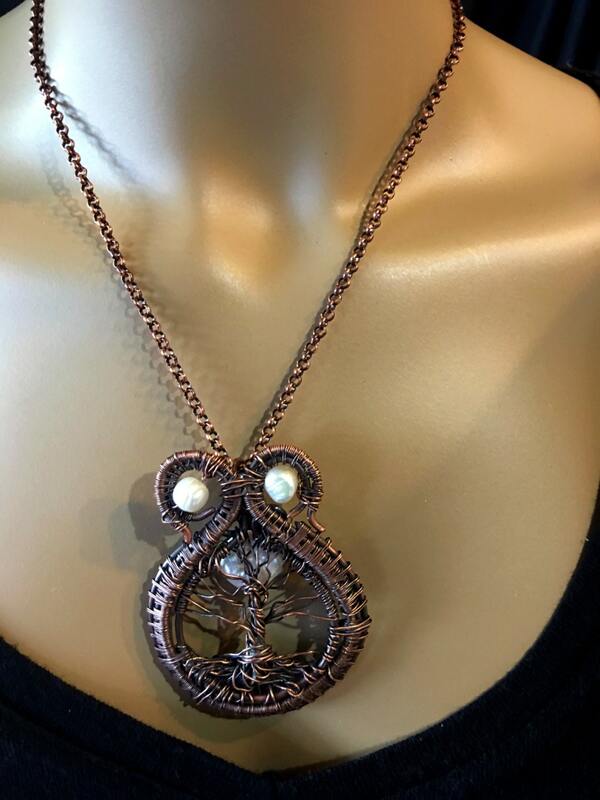 The pendant is 2,5 x 2" and hangs from a copper chain that is 18" long.